no mas pantalones: CAVITYCOLORS "Get Spooked"
Although a different shirt from CAVITYCOLORS opened my "31 Days of Halloween" posts, there was no way that was going to keep me from highlighting this wicked design. 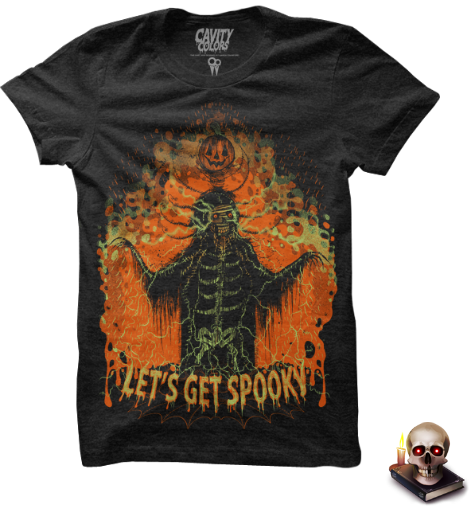 "Get Spooked" is hot off the t shirt presses, released just this past Friday as the second installment of the brand's Halloween deliveries. It's the necessary attire for handing out candy if you're not wearing a costume- at least that's what I told myself when I ordered mine late last night.